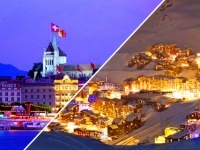 The French ski resort Meribel is situated in the centre of the Three Valleys. The nearest airport is air station in Geneva, so many tourists from other countries, who want to have some rest there, use this airport. 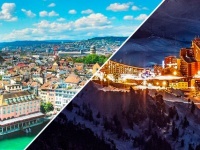 Then you should overpass about 140 km, you can book transfer from the airport from Geneva to Meribel or get there by public transport. 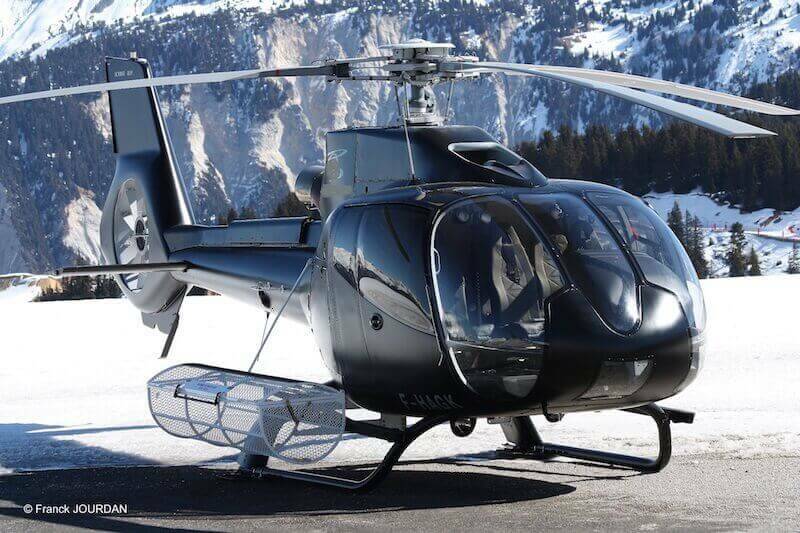 The fastest and the most comfortable way to get to Meribel is by air, using transfer by helicopter. Such kind of flight can cost about 2000 euro and it will take a little more than 30 minutes. When you book this kind of service you should ask the company about weight and size of your luggage. There could be no more than 6 persons on the board of the helicopter. Those travelers, who are not ready to pay such big sum, can hire a car and get to the place of their rest by yourself. But the driver should be older than 21 years old and his experience should be more than one year (sometimes even more than 2-3 years). 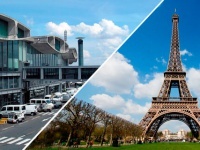 You can hire a car in the airport, there are few desks with transport companies, but it will be more comfortable to book this service beforehand. In this case the car will wait for its passengers at the parking place of the airport. The price of hiring a car per day begins from 110 euro. Usually the price of vignette to drive by paid road is already included. It will take you about 2.5 – 3 hours, but sometimes it can take you much time because of snowfalls or traffic jams. You can get to Meribel even by public transport, there is regular bus connection with the airport in Geneva. There are few everyday runs till 7 pm. 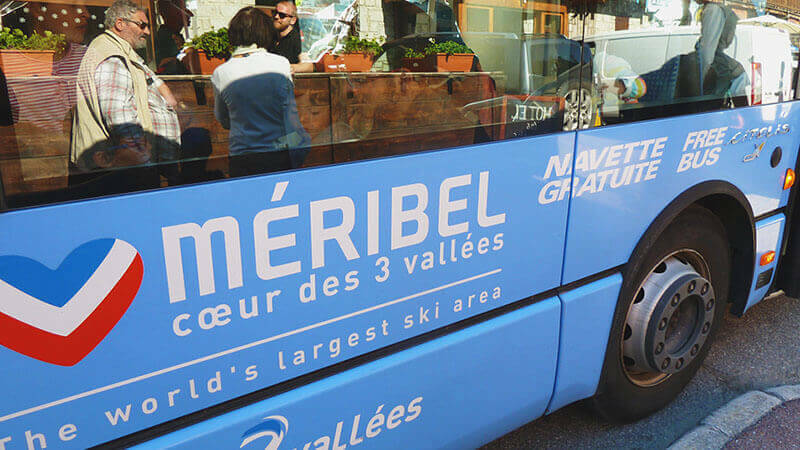 Such trip by bus from Geneva to Meribel will take you about 3 hours, and it costs about 81 euro. The other kind of transport that can help you to get to resort is train. There is no railway station in Meribel so you should get to the station Moutiers Salins, that is situated in 18 km from the city. By arrival to Geneva, in the baggage department there is a special automat, where you can find free ticket for the trip around the city. 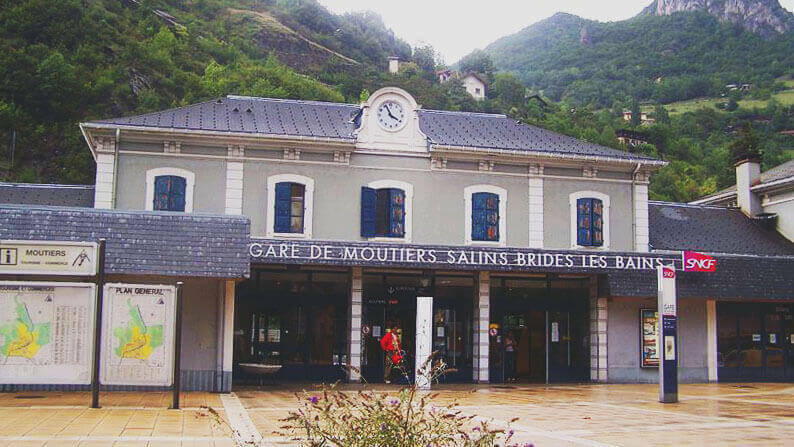 You can get from the air station to the main railway station using it in few minutes, where train departs to Moutiers Salins. The ticket costs 50-65 euro per one adult, you can buy it in place, at the special robot or beforehand, through the Internet. The trip will take you more than 5 hours, but you should make few transfers. The ticket from Moutiers to Meribel costs 12 euro. You can find a cab to make your trip more comfortable, it will cost 45 euro. It will take you about 20 minutes. Should you book transfer beforehand? 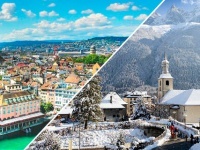 You should decide it yourself, but it’s the best and safest way to get to Meribel, on the density of the price and quality. You shouldn’t worry and look for the cab by your arrival – the driver will meet you in the right time and take you to your hotel. So if you travel with children you can order child safety seat.